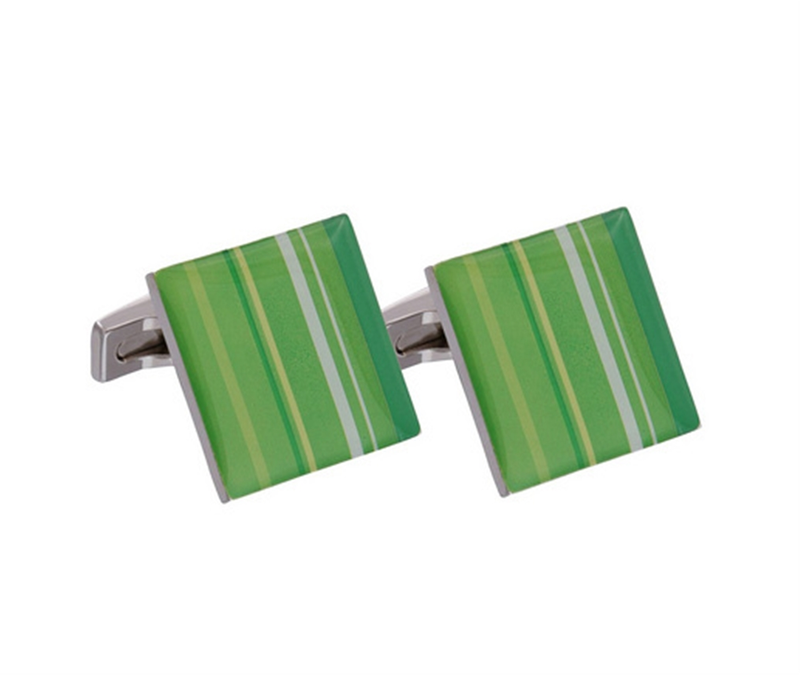 Green polished enamel cufflinks with a classic T-bar fastening. 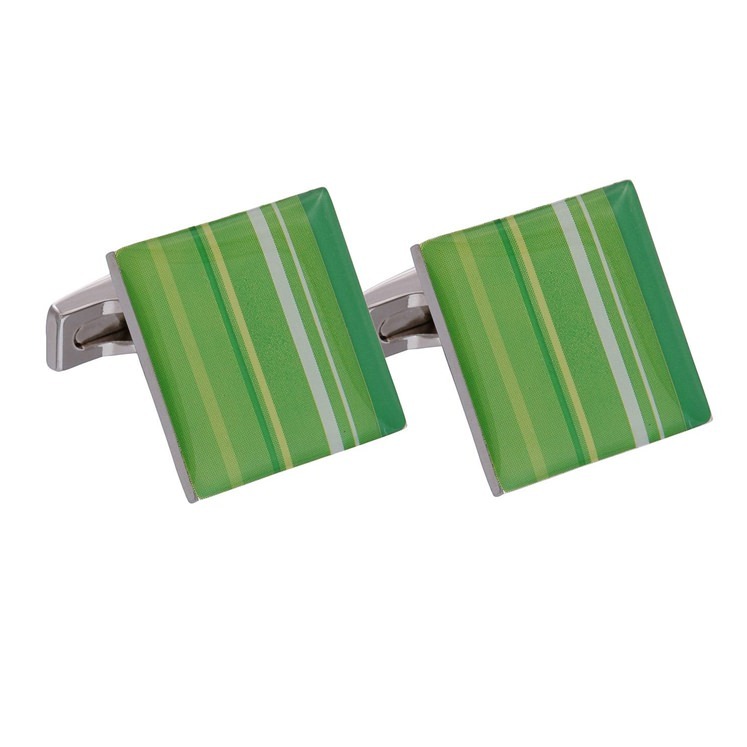 2cm square in size. Brass with rhodium plating.